Shillong is known for nature, museums, historic sites, parks, and wildlife. Your plan includes some of its best attractions: explore the activities along Umiam Lake, wander the streets of Police Bazar, pause for some serene contemplation at Cathedral of Mary Help of Christians, and take in nature's colorful creations at Lady Hydari Park. To see where to stay, traveler tips, reviews, and tourist information, read Shillong holiday website . New Delhi to Shillong is an approximately 7-hour flight. You can also do a combination of flight and bus; or drive. 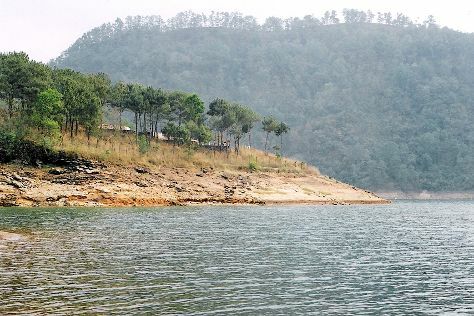 Traveling from New Delhi in May, expect Shillong to be a bit cooler, temps between 38°C and 26°C. Wrap up your sightseeing on the 18th (Sat) to allow time to drive to Mawlynnong. Start off your visit on the 19th (Sun): take in the dramatic scenery at Mawlynnong Waterfall, take some stellar pictures from Jingmaham Living Root Bridge, then take in the dramatic natural features at Roots Bridges, and finally wander the streets of Mawlynnong Village. Keep things going the next day: take in the architecture and atmosphere at Church of the Epiphany and then explore the activities along Dawki River. To see other places to visit, where to stay, more things to do, and more tourist information, use the Mawlynnong trip maker app . Drive from Shillong to Mawlynnong in 2.5 hours. Wrap up your sightseeing by early afternoon on the 20th (Mon) to allow enough time to travel back home.